Shots fired! Kylie Jenner is clearly saying that Tyga’s time now belongs to her, not Blac Chyna. For quite some time, Tyga and Kylie were keeping their not-so legal relationship under wraps. But T-Raww put an end to that earlier this month with an Instagram declaration of his love for the youngest Kardashian sister. Kylie laid down a huge diss involving Blac Chyna’s ex and Kylie’s current boyfriend, Tyga! It all started when Blac Chyna posted a Mar.24 shot of her behind the wheel of a hot pink ride, showing off her trademark tattoo and a photo of the Audemars Piguet watch that Tyga had given her in 2013. She included a relaxed smiley emoji. Kylie Jenner, 17, must have checked her watch and saw it was Diss-o’clock! 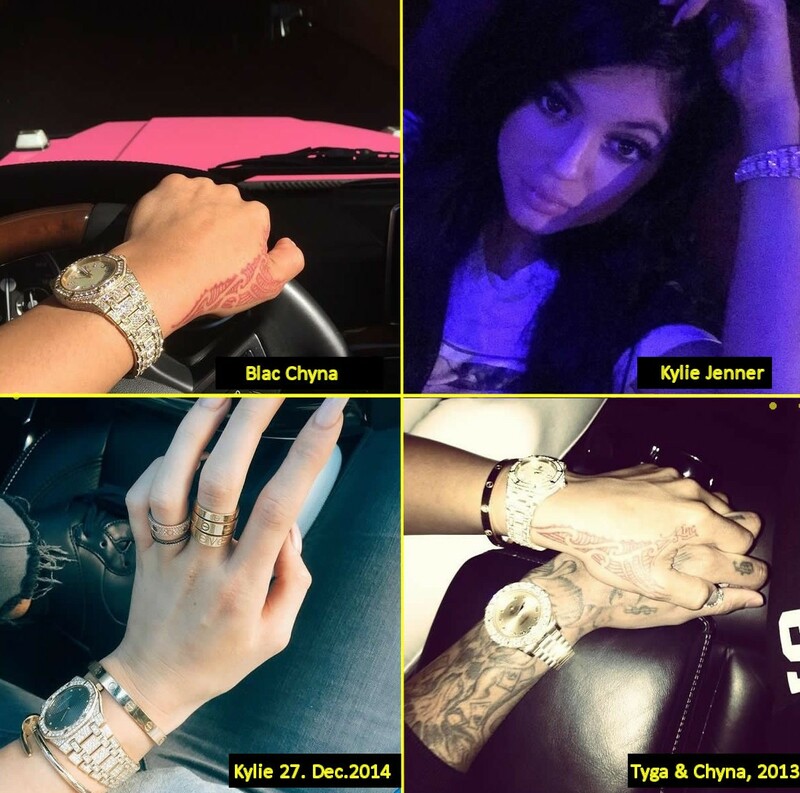 Five hours later, Kylie chimed in with a photo of her own, showing off the exact same wristwatch. “Currently,” she captioned it. Tyga even posted a photo of himself and Chyna holding hands back in 2013, with the watch around Chyna’s wrist, on his Instagram with the hashtag #BlacLove. Seems Tyga’s fond of giving that type of gift, which was identified as a Audemars Piguet watch by TMZ, to those he really loves.